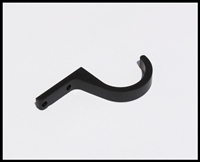 *NEW* PATRIOT MAG RELEASE (BB RELOADED) FOR AR10 PLATFORM RIFLES. 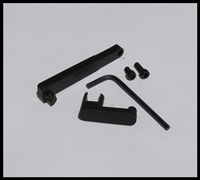 *NEW* PATRIOT MAG RELEASE KIT (BB RELOADED) FOR AR10 PLATFORM RIFLES. COMES WITH EXTENDED REAR TAKEDOWN PIN. 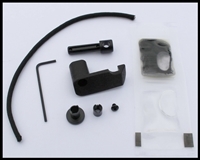 *NEW* PATRIOT MAG RELEASE KIT (BB RELOADED) FOR AR15 PLATFORM RIFLES. Bushmaster / Remington ACR Patriot Mag Release. 2018 CA Compliant! Bushmaster / Remington ACR Patriot Mag Release Kit. Comes With Extended Rear Take Down Paracord. 2018 CA Compliant! Colt 901 LE .308 Patriot Mag Release. The Colt 901LE Patriot Mag Release is for the .308 / 7.62x51mm NATO platform. 2017 / 2018 California Compliant! Colt 901 LE .308 Patriot Mag Release Kit w/ Extended Rear Takedown Pin & Paracord. The Colt 901LE Patriot Mag Release is for the .308 / 7.62x51mm NATO platform. 2017 / 2018 California Compliant! Daniel Defense DD5 Patriot Mag Release. The Daniel Defense DD5 Patriot Mag Release is for the .308 / 7.62 x 51mm NATO platform only. 2018 California compliant! Daniel Defense DD5 Patriot Mag Release Kit. Comes with takedown pin and paracord. California Compliant for 2017 / 2018! Kel-Tec Sub 2000 Gen 2 Patriot Mag Release. This Patriot Mag Release works on *ALL* KelTec Sub2k Gen 2 models (Glock, Beretta, etc.). New BULLET BUTTON® product for 2017 (CA Compliant). NOTE: This Patriot Mag Release ONLY works on *Gen 2* model Sub 2000 carbines. New Frontier / Palmetto State Armory Pistol Caliber Patriot Mag Release. Quarter Circle Patriot Mag Release. 2018 CA Compliant! Sig Sauer MPX / MCX Patriot Mag Release. This Patriot Mag Release works on both the SIG MCX (5.56) as well as the SIG MPX (9mm) models. New BULLET BUTTON® product for 2017 (CA Compliant). Sig Sauer MPX & MCX / Lancer Patriot Mag Release Kit. Comes with extended rear takedown pin. This product / kit makes your SIG MPX & MCX / Lancer 2018 California Compliant! Smith & Wesson M&P10 Patriot Mag Release. The Smith and Wesson M&P-10 Patriot Mag Release is for the .308 AR platform models only. 2018 California compliant! Smith & Wesson M&P10 Patriot Mag Release Kit w/ Extended Takedown Pin & Paracord. The Smith and Wesson M&P-10 Patriot Mag Release Kit is for the .308 AR platform model only. 2018 California compliant! UTAS XTR-12 Shotgun Patriot Mag Release (PMR) Kit. Comes with extended takedown pin. 2018 California compliant! UTAS XTR-12 Patriot Mag Release. This is the standard Patriot Mag Release (PMR) for the UTAS XTR-12 AR Shotgun. 2018 California compliant!